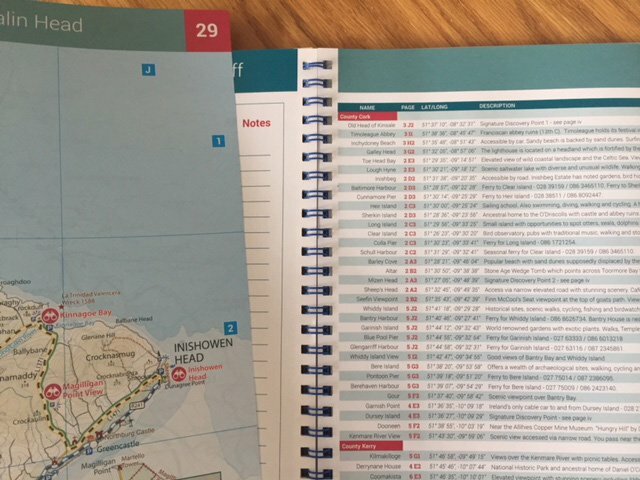 There are many such maps available for the Wild Atlantic Way and the first one we are reviewing for you is the Wild Atlantic Way Route Atlas by Xploreit. For a limited time, if you Like our Facebook page you will be in with a chance to win a copy of this Atlas for Free! The Route Atlas is a sturdy ring bound volume with a laminate cover. 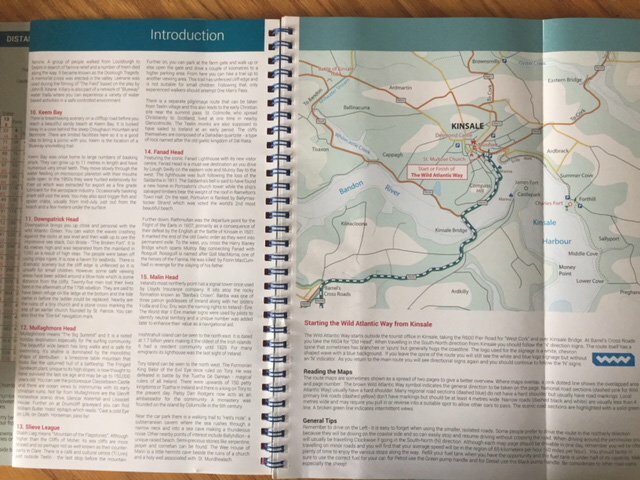 There are fold out maps for each section of the route. The GPS coordinates of each of the over 150 Discovery Points are listed as well as scenic view points, historical or cultural places of interest and beaches. The 15 Signature Discovery Points are given special emphasis as you would expect. 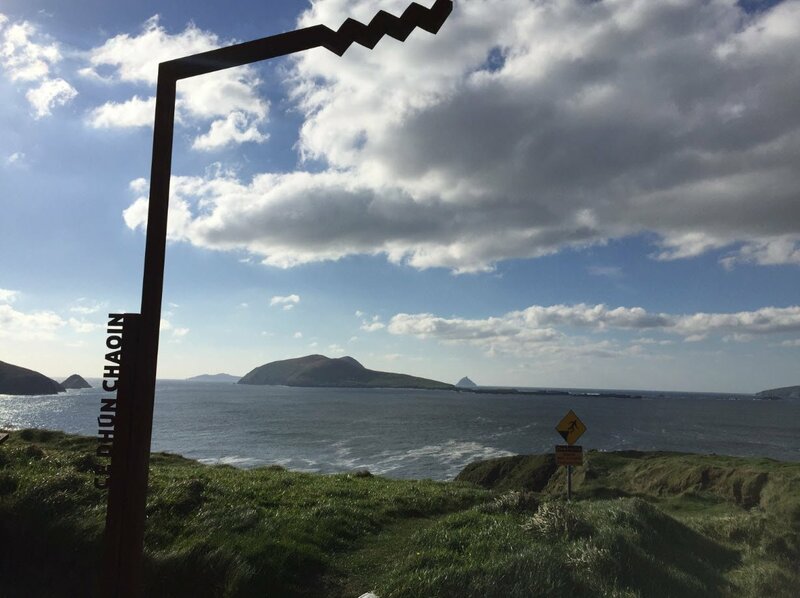 Watch out for the distinctive official Wild Atlantic Way Route signs along the way. And of course each of the Discovery points is marked with a large metal signpost. We understand that these were mean to ‘frame the view’, personally I think the view needs no addition but they do help when you are trying to remember from your photos exactly where you have been! In summary we would recommend the Wild Atlantic Route Atlas by Xploreit. One comprehensive map covering the whole route from Cork to Donegal, in a logical and useful layout. You can purchase the Atlas from our Amazon link here. Plus, for a limited time, if you Like our Facebook page you will be in with a chance to win a copy of this Atlas for Free! Note: This is our affiliate link. We receive a small commission but this does not change the price you pay.